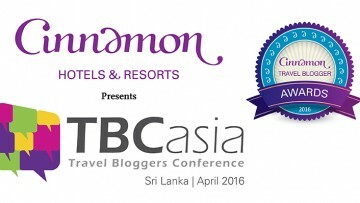 There’s so much to see and do in Sri Lanka, you’ll need to visit here on holiday several times to enjoy everything. Here’s our list to start you off. Galle Face Green is the lung of Colombo, an open stretch of grass beside the sea that links the old Colombo Fort area with the metropolis developed to its south. The Galle Face Green faces west and is the perfect place to watch the sun, as a huge golden orb, setting into the Indian Ocean. It’s fun (and free) to stroll along the waterfront, as the citizens of Colombo do, enjoying the breeze, the camaraderie, the evening hawker snacks, and even buying a kite and having a go at flying it, as the sun sets. Head 60km south to the gorgeous beaches in the coves and bays along the west coast at Beruwala & Bentota and Hikkaduwa (98km)from October to April when the sea is invitingly calm. 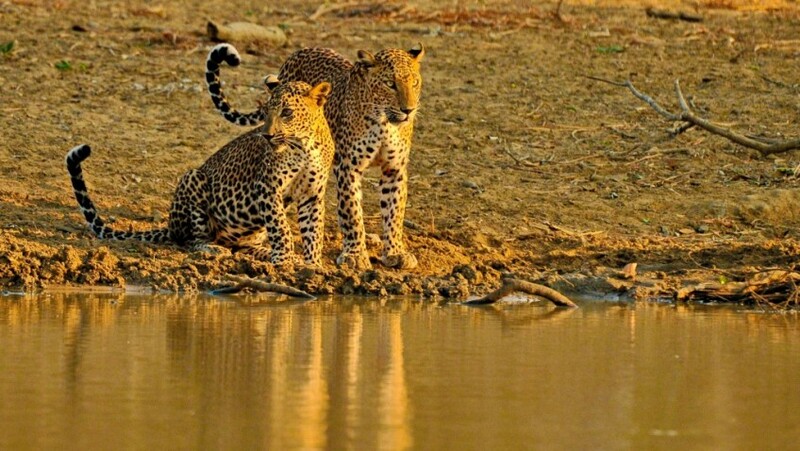 From April to October, plunge into the Indian Ocean from the beaches along the East Coast, especially at Uppuveli just north of Trincomalee (257km from Colombo) or go south east to sport in the shallow waters at Passikudah (273km from Colombo). 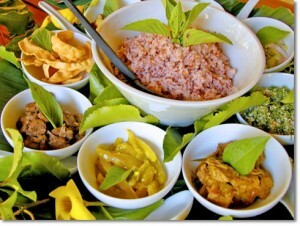 Rice and curry is Sri Lankans’ staple and you’ll be offered it for lunch, dinner and even breakfast. 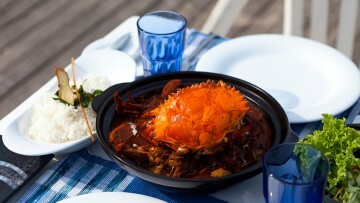 It’s amazing what canbe served as a curry; not just meat or fish but vegetables,roots and even flowers too. A good place to experiment is a hotel’s buffet which will usually have a rice and curry corner where you can sample the items you fancy. Once you have the taste for it, angle for an invitation to lunch at a village homestead where the curries will be rich in flavour and smoky from being cooked over a wood fire. 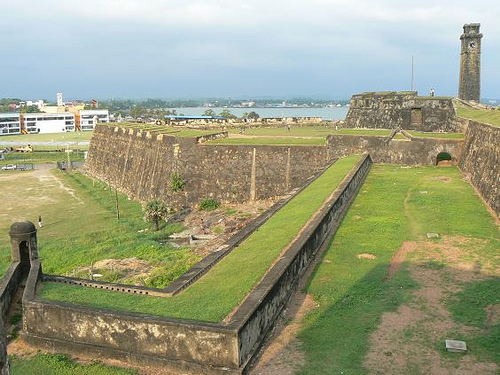 Galle Fort (116km by road from Colombo) in the island’s southwest corner is the best preserved colonial sea fortress in the whole of Asia. It’s also a thriving residential community with 470 houses, ranging in style from Dutch colonial mansions with columns and deep stoeps to nifty, art deco town houses. It’s Number 200 on UNESCO’s World Heritage List and there’s no fee to enter and stroll its cobbled streets, popping into the trendy gift shops and cafés, and mounting the ramparts to walk right around the top of the fort’s walls. Sri Lanka is the home of Pure Ceylon Tea and there are tea factories near Kandy and higher in the hill country that welcome visitors to see how tea is processed and to taste a cup near the garden where it was grown. In Colombo, sip serendipity in the tea house run by the Sri Lanka Tea Board in the restored Grand Stand of the old Colombo Race Course. 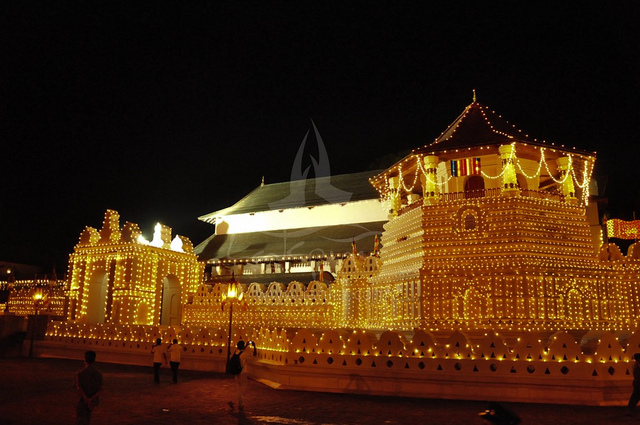 Not only is the journey to Kandy, 116km from Colombo by road, train or air taxi, spectacular and the former medieval kingdom city endlessly interesting, the visit to Kandy’s revered Tooth Temple (Sri Dalada Maligawa) becomes a unique spiritual experience. The tooth, taken from the ashes after the cremation of Gauthama Buddha, is an object of veneration to Buddhists and of curiosity to visitors. You don’t actually see it, but can join locals in paying respects at the shrine. One of the world’s great train trips. From Nanu Oya by train on the single broad gauge track that climbs to the rail summit at Pattipola 1,911m above sea level, and then wends its way through clouds with hill top views of rushing waterfalls and plunging valleys on a unique two hour journey to the hill sanatorium town of Bandarawela., 197km from Colombo. 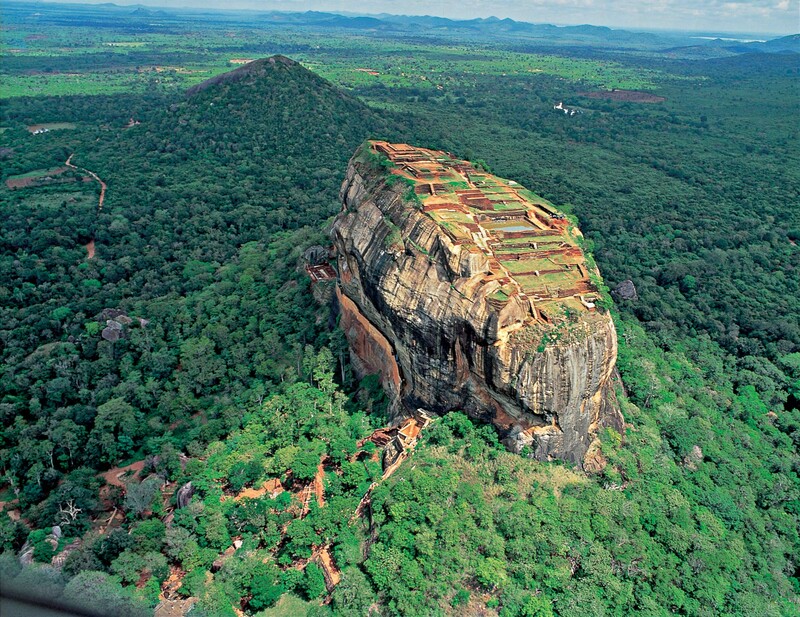 Like a mushroom of golden-hued granite protruding 183m into the searing blue sky from a hot, flat wilderness of scrub land (transformed in the rainy season to a water garden) the Lion Rock at Sigiriya (168km from Colombo), is a formidable sight. Seeing the ruins of a palace built in the 5th century (and awesome views) as well as ancient, voluptuous frescoes are a fitting reward for the climb. Elephants can be seen in National Parks, in the Dehiwela Zoo (10km south of Colombo) and thrillingly in the elephant orphanage at Pinnawela (on the way to Kandy) where visitors can watch elephants bathe and even help feed orphaned baby ones. 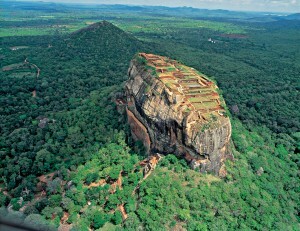 Elephant riding in a howdah can be arranged at Habarana, 197km from Colombo near Sigiriya.